Isnilon Hapilon was a U.S.-designated terrorist and the leader of the pro-ISIS faction of the Philippines-based Abu Sayyaf Group (ASG). According to a January 2016 ISIS propaganda video, ISIS leadership in Syria confirmed Hapilon as the leader of ISIS in Southeast Asia, though the group has not officially announced a wilaya (province) in the Philippines.“Pro-ISIS Groups in Mindanao and Their Links to Indonesia and Malaysia,” Institute for Policy Analysis of Conflict (Indonesia), October 25, 2016, 1, http://file.understandingconflict.org/file/2016/10/IPAC_Report_33.pdf. Hapilon was on the FBI’s most-wanted list for his alleged role in terrorist acts “against U.S. nationals and other foreign nationals” in and around the Philippines.“Most Wanted: Isnilon Totoni Hapilon” Federal Bureau of Investigation, accessed October 27, 2016, https://www.fbi.gov/wanted/wanted_terrorists/isnilon-totoni-hapilon. 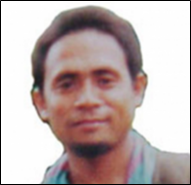 The U.S. Department of State offered up to $5 million for information leading to Hapilon’s arrest.“Isnilon Hapilon,” U.S. Department of State Rewards for Justice, accessed October 27, 2016, https://www.rewardsforjustice.net/english/isnilon_hapilon.html. On October 16, 2017, Philippine authorities reported that Hapilon was killed in a firefight with government forces.Felipe Villamore, “Philippines Says It Killed ISIS-Linked Leader in Push to Reclaim City,” New York Times, October 16, 2017, https://www.nytimes.com/2017/10/16/world/asia/philippines-marawi-isis-isnilon-hapilon.html?_r=0. On October 21, 2017, the United States confirmed his death based on DNA tests conducted by the Federal Bureau of Investigation in Virginia, at the request of the Philippine government.Associated Press, “US: DNA Test Confirms Top Filipino Terror Suspect Is Dead,” New York Times, October 21, 2017, https://www.nytimes.com/aponline/2017/10/21/world/asia/ap-as-philippines-us-militant-killed.html. Beginning in at least 1997, Hapilon served in several senior positions within ASG, including deputy to former ASG leader Khadaffy Janalani.“Abu Sayyaf Senior Leaders Designated,” U.S. Department of Treasury, November 30, 2005, http://www.treasury.gov/press-center/press-releases/Pages/2005113013165523877.aspx. In the mid-2000s, Hapilon served on ASG’s consultative leadership council, the Majelis Shura, along with Radulan Sahiron, who assumed leadership of ASG in 2006.“Pro-ISIS Groups in Mindanao and Their Links to Indonesia and Malaysia,” Institute for Policy Analysis of Conflict (Indonesia), October 25, 2016, 2, http://file.understandingconflict.org/file/2016/10/IPAC_Report_33.pdf. Hapilon initially operated from his home island of Basilan in the southern Philippines. In January 2017, it was reported that he had moved to Butig, Lanao del Sur in the southern Philippines, in order to establish an ISIS caliphate in a larger area.“15 terrorists killed as bombs dropped on Hapilon’s lair: AFP,” ABS-CBN News, January 29, 2017, http://news.abs-cbn.com/news/01/27/17/top-terrorist-leader-isnilon-hapilon-injured-in-military-offensive-in-lanao. Hapilon came to international notoriety in May 2001 when he and other ASG members kidnapped 20 tourists, including three U.S. nationals, from the Dos Palmas Resort on Palawan, the westernmost island of the Philippines. ASG operatives beheaded one of the American hostages, Guillermo Sobero, and referred to his killing as a “gift” to then-Philippine President Gloria Macapagal-Arroyo.“Troops Scour Area for Man Rebels Say They Beheaded,” USA Today, June 20, 2001, http://usatoday30.usatoday.com/news/world/june01/2001-06-11-hostages.htm. In July 2002, Hapilon was indicted in absentia in the District of Columbia for his alleged involvement in the kidnapping of tourists as well as Sobero’s beheading.“U.S. charges Abu Sayyaf leaders in kidnappings,” CNN Law Center, July 24, 2002, http://www.cnn.com/2002/LAW/07/23/philippines.rebels.charges/index.html?iref=allsearch. In the summer of 2014, Hapilon garnered international media attention when he and his faction pledged allegiance to ISIS and its caliph Abu Bakr al-Baghdadi.Aurea Calica, “Islamic State Threatens Mindanao, Philippines Tells Asean,” Philippine Star (Manila), April 27, 2015, http://www.philstar.com/headlines/2015/04/27/1448336/islamic-state-threatens-mindanao-philippines-tells-asean. In January 2016, the group named Hapilon the leader of ASG after reiterating its pledge to ISIS.Moh Saaduddin, “Abu Sayyaf rebels pledge allegiance to ISIS,” Manila Times, January 11, 2016, http://www.manilatimes.net/breaking_news/abu-sayyaf-rebels-pledge-allegiance-to-isis/. Sahiron, based on the island of Sulu, is the presumed overall leader of ASG despite Hapilon’s followers claiming him as ASG’s leader. Due to the fracture within the group, Hapilon and his followers were known as the Basilan faction and then as ISIS followers, while Sahiron and his followers are known as the Sulu faction.“Pro-ISIS Groups in Mindanao and Their Links to Indonesia and Malaysia,” Institute for Policy Analysis of Conflict (Indonesia), October 25, 2016, 2-4, http://file.understandingconflict.org/file/2016/10/IPAC_Report_33.pdf. Though ISIS has not declared a wilaya (province) in the Philippines, the terror group endorsed Hapilon as its emir (leader) in Southeast Asia.“Pro-ISIS Groups in Mindanao and Their Links to Indonesia and Malaysia,” Institute for Policy Analysis of Conflict (Indonesia), October 25, 2016, 1, http://file.understandingconflict.org/file/2016/10/IPAC_Report_33.pdf. In a June 2016 video released by ISIS, alleged Indonesian, Malaysian, and Filipino fighters in Syria acknowledged Hapilon as the head of ISIS in Southeast Asia.“ISIS recruits in SE Asia is a rising threat despite weak attacks,” Associated Press, July 14, 2016, http://english.alarabiya.net/en/perspective/features/2016/07/14/ISIS-recruits-in-SE-Asia-a-rising-threat-despite-weak-attacks.html. In addition, a Syrian-based Malaysian named Mohammed Rafi Uddin reportedly called on aspiring jihadists unable to travel to Syria to support Hapilon and his fighters.Tim Johnston, “Philippines Peace Process: Duterte Playing for High Stakes,” International Crisis Group, August 30, 2016, https://www.crisisgroup.org/asia/south-east-asia/philippines/philippines-peace-process-duterte-playing-high-stakes. According to the Philippines’ Secretary of National Defense, ISIS made direct contact with Hapilon in December 2016, instructing him to find an area to establish a caliphate in Mindanao.Carmela Fonbuena, “ISIS makes direct contact with Abu Sayyaf, wants caliphate in PH,” Rappler, January 26, 2017, http://www.rappler.com/nation/159568-isis-direct-contact-isnilon-hapilon. In May 2017, the Philippine military received intelligence that Hapilon was in the city of Marawi, approximately 180 miles northeast of his home island of Basilan. Philippine authorities believe that Hapilon and his cohorts were there to unite with an ISIS-linked extremist organization based in the city known as the Maute Group.Greanne Trisha Mendoza, “LOOK: Marawi City jail, Dansalan College on fire,” ABS-CBN News, May 23, 2017, http://news.abs-cbn.com/news/05/23/17/duterte-wont-cut-short-russia-trip-amid-marawi-siege. Soldiers clashed with militants who then took siege of Marawi, as Philippine President Duterte called for martial law.Associated Press, “Philippine troops try to retake city stormed by ISIS allies,” CBS News, May 25, 2017, http://www.cbsnews.com/news/philippines-isis-abu-sayyaf-maute-marawi-rodrigo-duterte-emergency/. On October 16, 2017, Philippine government forces advanced on the ISIS-linked militants there as part of an escalated offensive, killing Hapilon and another commander, Omarkhayam Maute, in a gunfight.Felipe Villamore, “Philippines Says It Killed ISIS-Linked Leader in Push to Reclaim City,” New York Times, October 16, 2017, https://www.nytimes.com/2017/10/16/world/asia/philippines-marawi-isis-isnilon-hapilon.html?_r=0. Philippine Defense Secretary Delfin Lorenzana announced the deaths of the two key ISIS-linked militants, and U.S. officials later confirmed Hapilon’s death with DNA tests.Tripti Lahiri, “One of the FBI’s most-wanted terrorists has just been killed in the Philippines,” Quartz, October 16, 2017, https://qz.com/1103018/battle-of-marawi-wanted-isis-terrorist-isnilon-hapilon-has-just-been-killed-in-the-philippines/; Associated Press, “US: DNA Test Confirms Top Filipino Terror Suspect Is Dead,” New York Times, October 21, 2017, https://www.nytimes.com/aponline/2017/10/21/world/asia/ap-as-philippines-us-militant-killed.html. According to the Indonesian-based Institute for Policy Analysis and Conflict (IPAC), Hapilon had ties to foreign jihadists and communicates with ISIS-affiliated Southeast Asians living in Syria. He did not speak Arabic and had very limited religious education.“Pro-ISIS Groups in Mindanao and Their Links to Indonesia and Malaysia,” Institute for Policy Analysis of Conflict (Indonesia), October 25, 2016, 2, http://file.understandingconflict.org/file/2016/10/IPAC_Report_33.pdf. A source close to Hapilon told IPAC that Hapilon was willing to welcome foreigners to his group, unlike Sahiron who is believed to only trust his fellow ethnic Tausug. According to IPAC, Hapilon’s affiliation to ISIS was motivated not by ideology, but by desire for the prestige and credibility that comes with being connected to an international jihadist organization.“Pro-ISIS Groups in Mindanao and Their Links to Indonesia and Malaysia,” Institute for Policy Analysis of Conflict (Indonesia), October 25, 2016, 4, http://file.understandingconflict.org/file/2016/10/IPAC_Report_33.pdf. Hapilon’s wife is reportedly the widow of Zulkifli bin Hir, a.k.a. Marwan, a Malaysian bomb maker and member of Jemaah Islamiyah (JI) who was killed in the Philippines while hiding among ASG militants. She was reportedly first married to Khadaffy Janjalani, the former leader of ASG and the brother of ASG founder Abdurajak Janjalani.“Pro-ISIS Groups in Mindanao and Their Links to Indonesia and Malaysia,” Institute for Policy Analysis of Conflict (Indonesia), October 25, 2016, 3, http://file.understandingconflict.org/file/2016/10/IPAC_Report_33.pdf. The Philippine military killed Hapilon’s son, Ubaida Hapilon, during an operation on Basilan in April 2016.Gerg Cahiles and Liza Jocson, “18 soldiers dead, 5 Abu Sayyaf bandits killed in Basilan encounter,” CNN Philippines, April 10, 2016, http://cnnphilippines.com/news/2016/04/10/basilan-encounter-araw-ng-kagitingan-abu-sayyaf.html. Abu Abdullah“Philippine troops kill 15 Islamic State supporters; rebel leader wounded,” Reuters, January 29, 2017, http://www.reuters.com/article/us-philippines-security-idUSKBN15D0CA. Abu Musab“Most Wanted: Isnilon Totoni Hapilon” Federal Bureau of Investigation, accessed October 27, 2016, https://www.fbi.gov/wanted/wanted_terrorists/isnilon-totoni-hapilon. Abu Tuan“Most Wanted: Isnilon Totoni Hapilon” Federal Bureau of Investigation, accessed October 27, 2016, https://www.fbi.gov/wanted/wanted_terrorists/isnilon-totoni-hapilon. Deputy Amir“Most Wanted: Isnilon Totoni Hapilon” Federal Bureau of Investigation, accessed October 27, 2016, https://www.fbi.gov/wanted/wanted_terrorists/isnilon-totoni-hapilon. Esnilon“Most Wanted: Isnilon Totoni Hapilon” Federal Bureau of Investigation, accessed October 27, 2016, https://www.fbi.gov/wanted/wanted_terrorists/isnilon-totoni-hapilon. Salahuddin“Most Wanted: Isnilon Totoni Hapilon” Federal Bureau of Investigation, accessed October 27, 2016, https://www.fbi.gov/wanted/wanted_terrorists/isnilon-totoni-hapilon. Salahudin“Abu Sayyaf Senior Leaders Designated,” U.S. Department of Treasury, November 30, 2005, http://www.treasury.gov/press-center/press-releases/Pages/2005113013165523877.aspx. Sheik Mujahid Abu Abdullah al-FilipiniPer Liljas, “ISIS Is Making Inroads in the Southern Philippines and the Implications for Asia Are Alarming,” Time, April 14, 2016, http://time.com/4293395/isis-zamboanga-mindanao-moro-islamist-terrorist-asia-philippines-abu-sayyaf/. Sol“Most Wanted: Isnilon Totoni Hapilon” Federal Bureau of Investigation, accessed October 27, 2016, https://www.fbi.gov/wanted/wanted_terrorists/isnilon-totoni-hapilon. The Deputy“Most Wanted: Isnilon Totoni Hapilon” Federal Bureau of Investigation, accessed October 27, 2016, https://www.fbi.gov/wanted/wanted_terrorists/isnilon-totoni-hapilon. Tuan Isnilon“Abu Sayyaf Senior Leaders Designated,” U.S. Department of Treasury, November 30, 2005, http://www.treasury.gov/press-center/press-releases/Pages/2005113013165523877.aspx. Isnilon Hapilon was a U.S.-designated terrorist and the leader of the pro-ISIS faction of the Philippines-based Abu Sayyaf Group (ASG).